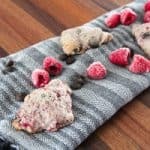 Have you ever had a Starbucks White Chocolate Raspberry Scone? If not I’d say you’re missing out, but actually with this recipe you can enjoy all of the goodness of Starbucks right at home. 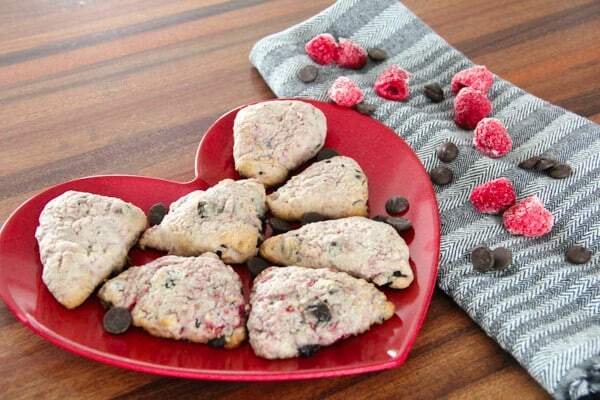 Because I didn’t have any white chocolate chips I made them as dark chocolate raspberry scones and dare I say they’re even better?!? Thanks to my amazing Grandma Verna I have a freezer-full of her garden fresh raspberries. I started by mixing all the dry then wet ingredients. Then I rolled it on a floured surface into three balls that I flattened. Next I cut into triangles, brushed with butter, and baked. Then we enjoyed these delicious treats. 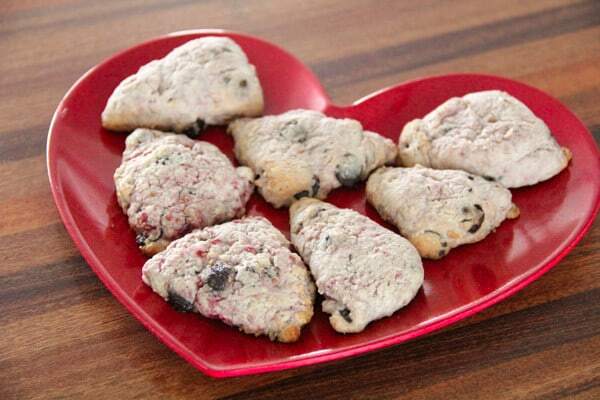 No, raspberry scones do not NEED to be served on a heart plate, but isn’t it fun?! 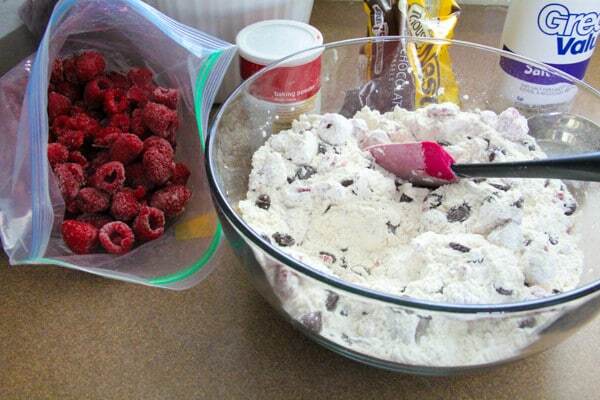 Mix dry ingredients, then raspberries and chocolate chips. Add cream and knead together. 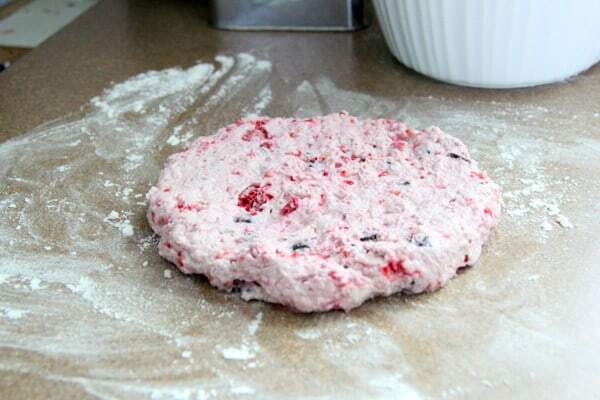 Form dough balls and flatten. Cut into triangles. 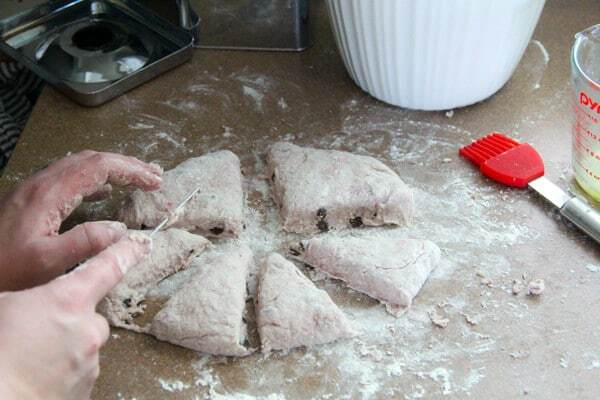 Place triangles onto cookie sheets lined with parchment paper. Bake 20 minutes or until beginning to brown. 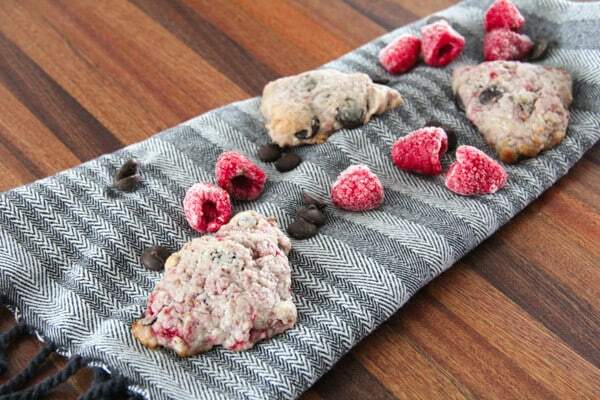 These also freeze really well if you freeze the scones on parchment paper and then put into a freezer bag. Then you can cook a few at a time to enjoy with a friend over coffee! No Starbucks necessary!